“100,000 Strong” Initiative Strengthens U.S.-China Relations, But Does It Go Far Enough? 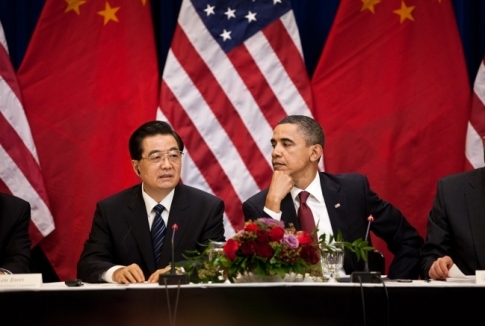 Chinese President Hu Jintao’s State Visit put all eyes on Washington, D.C. last week. While much of the political buzz focused on human rights, trade and the economy, President Hu’s visit stood out in its effort to show mutual cross cultural respect. Part of that ongoing effort is the “100,000 Strong” initiative—a program Secretary of State Hilary Clinton officially launched in 2010 in Beijing to “increase dramatically the number and diversify the composition of American students studying in China. Also last week, First Lady Michelle Obama announced $2.25 million in private sector funding to support the initiative and urged thousands of Washington, D.C. youth to “study in China, work together and make America and the world stronger.” However, while the “100,000 Strong” initiative certainly facilitates a deeper cultural understanding, does it go far enough in providing opportunities for a deeper understanding of foreign business practices? China is currently home to one third of the world’s population, roughly 1.3 billion people. While Chairman Mao’s Cultural Revolution set the Chinese economy back decades, the rest of the world was developing interdependent markets. But the Chinese economy is rapidly catching up. The Chinese are now heavily investing in economic development and creating an internal industrial infrastructure that has the potential to be a world leader in research and development. That’s why this initiative is so vital to the future of the United States. The initiative, however, needs to expand beyond students to include short-term work-based exchanges—exchanges that will provide insight on the very different ways the Chinese view business practices. While study-abroad is an essential to understanding Chinese culture, work-based exchange has the potential to integrate young American professionals more thoroughly into the Chinese workplace and community. By promoting work-based exchange to China, we afford the same invaluable experience to Americans that the U.S. has given so many foreign nationals through J-1 visa intern and trainee exchange programs. To ignore work-based exchanges in this and other initiatives puts our own businesses at a disadvantage and slows the progress of developing strong political, economic and cultural ties between the United States and China.